The hunt for the best Android watches isn’t easy since they come in different shapes, features, and designs. The days of ugly-looking smartwatches are gone, and in its place, we see sleek, futuristic watches with an incredible array of features. So how do you choose the best Android smartwatch that’ll meet your needs? It is important to consider your sense of design, your necessities, and the features of the watch before zeroing on the Android watch that suits you best. There are several android watches in the market, and they range from being value for money to top end luxury. Some watches double up as fitness trackers and those that focus on productivity. An Android smartwatch is a great accessory to have; it can relay important notifications from your phone, track your fitness regime, search the internet, even pay at the grocery store, and let’s not forget, tell the time. Listed below are the top ten best Android watches you can buy in 2017. Read on and take your pick. Ah, Samsung. 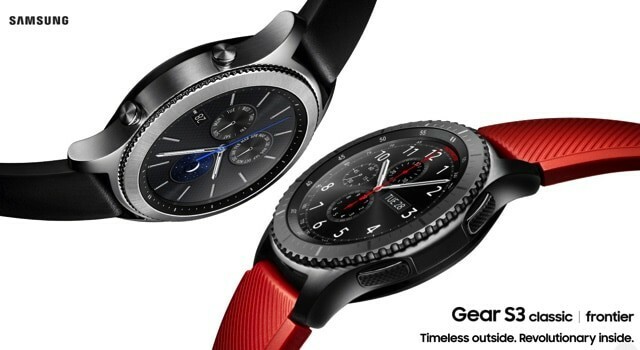 They have done great things with their Galaxy series of smartphones and with the pace of new developments from the company it seems they have big plans for their smartwatch division. Samsung’s Gear S3 is a beautiful watch with great features. Available in two variants, Frontier and Classic, the smartwatch has advanced features built into the watch. Just turn the bezel on the watch to respond to calls, read messages and go to any app that you need. It has a long battery life and comes with a wireless charger. The phone doubles as a fitness tracker and with its built-in GPS track your runs. Features: Samsung Pay, IP68 certified – dust/water proof over 1.5 meters and 30 minutes, Always-on display, rotating bezel. LG has come a long way since the days of its initial model LG G Watch. Its current models are second to none. One of the best-looking smartwatches in the market today, the LG Watch Style packs in amazing features in a great looking watch. It is stylish and functional; one of the slimmest smartwatches in the market today. The rotating side button brings up your messages and notifications and gives you access to your apps. With the upgrade to Android Wear 2.0, the watch has Google Now voice activation for simple and seamless functions. A brilliant combination of stunning good looks and technology, the LG Watch Sport is a delight to wear. Running on Android Wear 2.0, this watch has impressive features like GPS, LTE, and NFC for Android Pay revamped Google Fit with a heart rate monitor and several third-party Android apps. It has a 1.38-inch full circle P-OLED display, which gives you a clear view of the dial, whether you are indoors or out in the sun. The watch is voice activated with Google Assistant’s ‘Ok Google’ command and lets you do a variety of tasks from checking notifications, reading messages, tracking your fitness to making calls, searching apps and paying using Android Pay. It is integrated with Google Fit and offers real-time tracking of the wearer’s activity, making it so much easier to reach fitness goals. 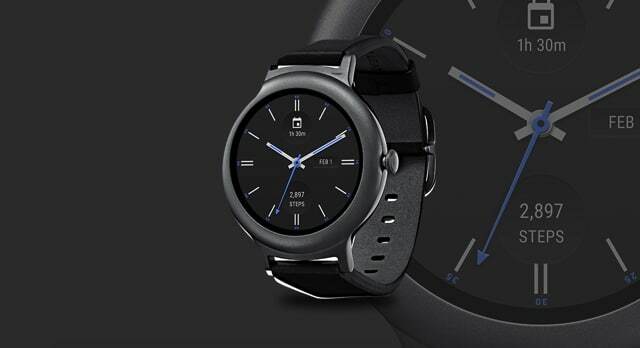 The Misfit Vapor Smartwatch is a stunningly beautiful watch with the latest Android 2.0. To be released in the summer of 2017, the watch is available for pre-order now. The watch has a fully customizable watch face, onboard music functionality and water resistance up to 50 meters. The MisFit Vapor is incredibly good-looking and is compatible with both Android phones and iPhones. It has a beautiful touch bezel to browse the menu of watch faces and apps and respond to notifications. The watch has Google Assistant built-in and is activated using the ‘Ok Google’ command. Use the Assistant to check messages, navigate directions and even check the weather. 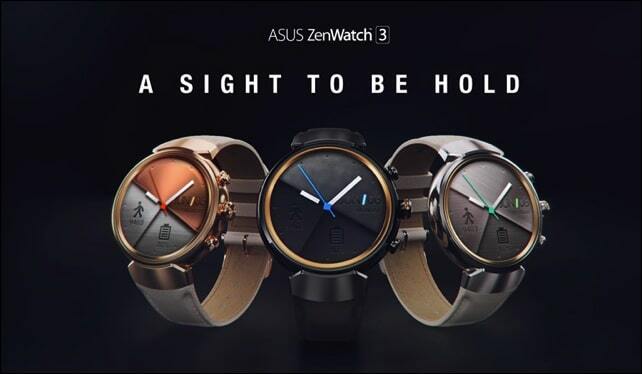 The Asus ZenWatch 3 heralds the coming of age of Asus smart watches. It has premium looks and is Android 2.0 compatible. It has a beautiful diamond cut bezel and a customizable top button. All your apps and notifications are at an easy reach. The watch has an Eco Mode, which saves battery and prolongs the time between charging. Perhaps the best feature of the watch is the beautiful custom design themes where you can choose from six themes and more than 50 watch faces. 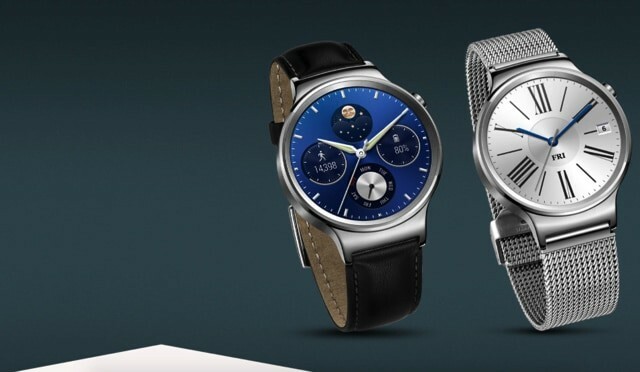 The Huawei Watch is another brilliant Android Smartwatch that combines design with customizability and functionality. It has a classic full circle face design with a cold forged stainless steel casing. The Huawei Watch has endless customizable opportunities where you can choose your own casing, strap and bespoke watch face to make it truly personal. The Huawei Watch also has options and styles for women, something that other brands do not offer. Keeping track of your activity and notifications is a breeze with this watch. The Moto 360 (2nd Gen) is a great Android Smartwatch with all the regular features of fitness tracking, notifications, voice commands, etc. You can read your emails, add reminders and shopping lists, check your calendar and get directions. All hands-free! The Moto 360 has been around for a while now, and it is still one of the most stylish smartwatches in the market today. The most interesting feature of the smartwatch is the ability to customize every tiny detail of the watch. Your watch will be one-of-a-kind; truly personal. It comes in two variants for men and women, with the women’s watch slightly smaller than the men’s. 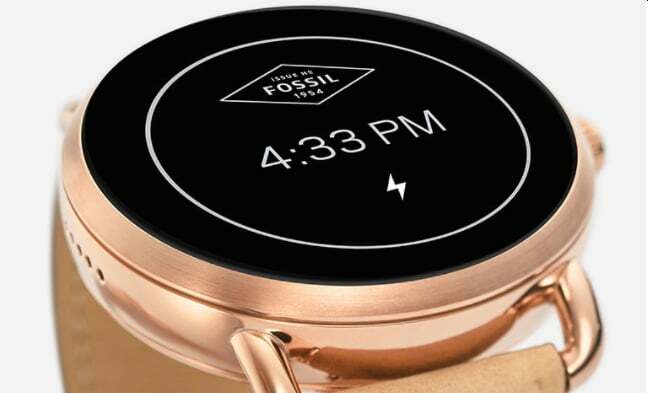 The Fossil Q Founder is a smartwatch launched by Fossil, a traditional watch and bag making company. The Fossil Q Founder is customizable with a built-in microphone and speaker. It can track your activity and give you your notifications too. The Fossil Q Founder syncs automatically with your phone and has details of your music, travel, maps, calendar, and events, etc. Though it has a built-in activity tracker, it does not have a sleep tracker. Features: Text and voice support, built-in fitness tracker, app alerts, alarm clock, Google apps etc. A luxury pick, the Tag Heuer is not for those on a budget. Made by the luxury brand Tag Heuer, this watch is made from grade II titanium. If you are looking at a smartwatch that shouts luxury and elegance, this is the one for you. The Modular range lets you build your own watch with accessories like the strap, the lugs, the mechanical module and even the buckles. It has a built-in activity tracker and a GPS to monitor your fitness. 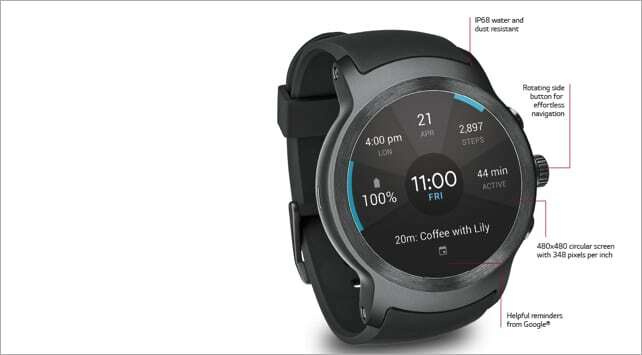 Powered by Android Wear, the watch is voice activated and lets you access your apps and notifications intuitively. 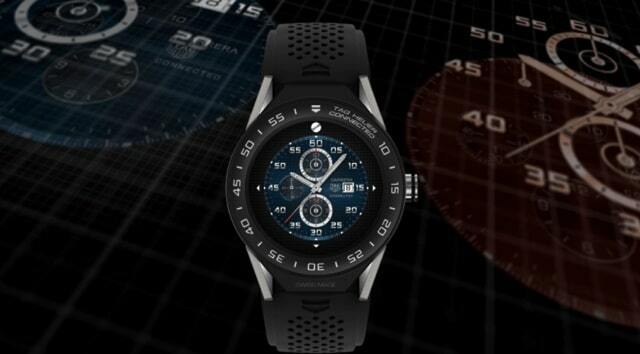 The Tag Heuer Connected is made in partnership with Intel and comes with an Intel Atom processor. 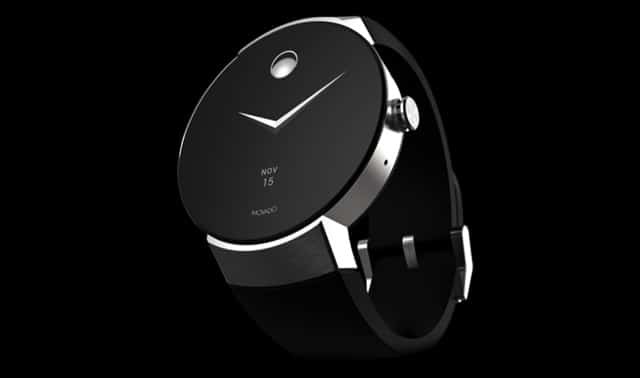 Expected to release in the Fall of 2017, the Movado Connect is a premium smartwatch that brings together modern design with cutting-edge technology. 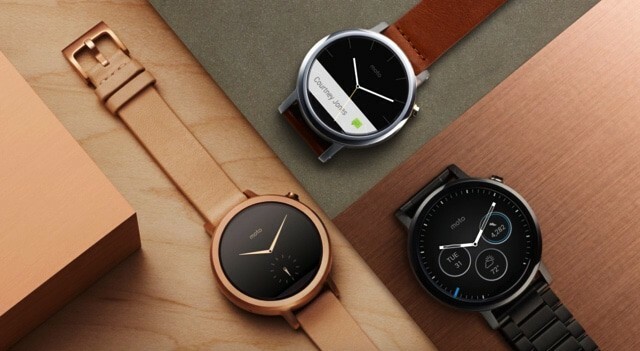 It is one of the first few watches designed specifically for Android Wear 2.0 and can access thousands of apps, receive notifications, integrate with Google Fit, and is compatible with Google Assistant. Although Modovo Connect is not available until the fall of 2017, another great option from the Modovo brand is the Modovo Museum watch. Android Wear 2.0 is the latest update to hit Android Wear Smartwatches. With this new update, smart watches have received a host of new features with a particular focus on fitness and standalone apps. In the 2.0, your smartwatch can connect to the Wi0Fi network and be more independent from your phone. Your phone doesn’t have to be physically close to your watch to use the apps. The new update brings in Google’s Material Design to the watch, making it easier to browse and control. The number of customizable watch faces has dramatically gone up, and you can view data from third-party apps like Spotify on the watch face easily now. The biggest change in functionality is perhaps the integration of Android Pay that brings you contactless payments on watches that support NFC. There are many changes that make using the smartwatch and its features easier and more intuitive. The Android Wear 2.0 update brings Google Assistant to your wrist. Simply say ‘OK Google’ and ask your watch to perform a variety of tasks for you from getting directions to the weather, and from setting timers to reminders. Android Wear has evolved greatly in the past few years from a laggy, unstable interface to the smooth functional one that we see today. With the integration of Google Assistant on the device, the possibilities are endless. In the future, we will see integration with more apps and more independence from the phone. This list has some of the best smartwatches you can buy today. Which one is your favorite? Let us know in the comments below.